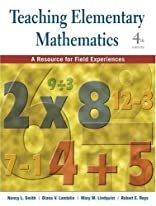 Teaching Elementary Mathematics continues to provide teachers with engaging activities that help them make the most of their field experience. This comprehensive field guide is packed with tips on how to plan and implement alternative math assessment in the classroom. It includes strategies for assessing a student s grasp of procedures, concepts, and problem solving. In the School activities focus on collecting information about the school and its resources, and observing and interviewing children and teachers. Help Children Learn activities explore how to work with children through games, technology, and mini-lessons. Teachers will find this to be an excellent resource that they can rely on throughout their teaching career. About Diana V. Lambdin (Author) : Diana V. Lambdin is a published author. Some of the published credits of Diana V. Lambdin include Helping Children Learn Mathematics. About Nancy L. Smith (Author) : Nancy L. Smith is a published author. 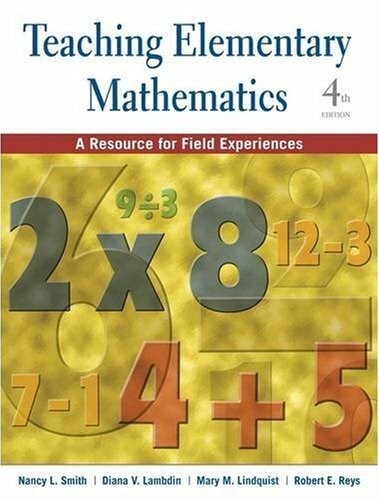 Some of the published credits of Nancy L. Smith include Teaching Elementary Mathematics: A Resource for Field Experiences, Helping Children Learn Mathematics.